Dr. Gregory Feider was born and raised in Racine, Wisconsin, where he graduated from Racine Case High School. He earned his B.S. from University of Wisconsin-Madison and graduated with high honors from the University of Pittsburgh School of Dental Medicine. Upon graduation from dental school , he received the Elliot Brodie Award for Clinical Competence "in recognition for clinical skill and proficiency in patient care." Dr. Feider is committed to continuing education and is an active member of the American Dental Association, the Academy of Laser Dentistry and the Academy of General Dentistry. He has undergone extensive training in all aspects of family dentistry, including pediatric dentistry and laser dentistry. He places special emphasis on prevention and minimally invasive procedures. Additionally, Dr. Feider's desire to help others extends beyond dentistry: he dedicated a year of service to Americorps, where he tutored and constructed houses with underprivileged youth. 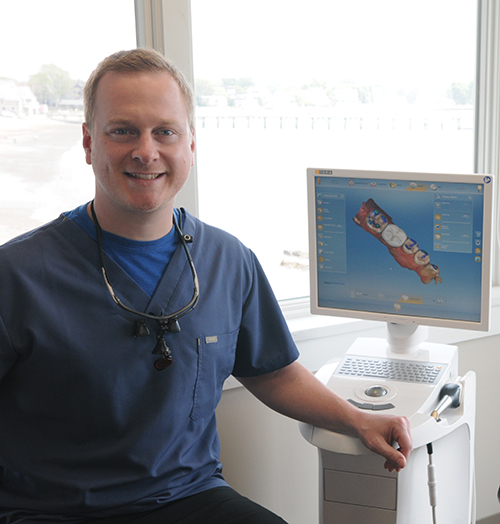 Currently, he is serving the local community as a member of the Rotary Club of Swampscott. Dr. Feider is a resident of Salem, and when he is not working, he takes advantage of the New England outdoors as much as possible. Dring the warmer months, he enjoys hiking, camping, golfing and going to the beach; in winter, he is an avid downhill skier.